Our Winter Session starts January 7th! The first course in our Certificate Program, Basic Makeup I, covers fundamental principles such as color theory and facial anatomy. 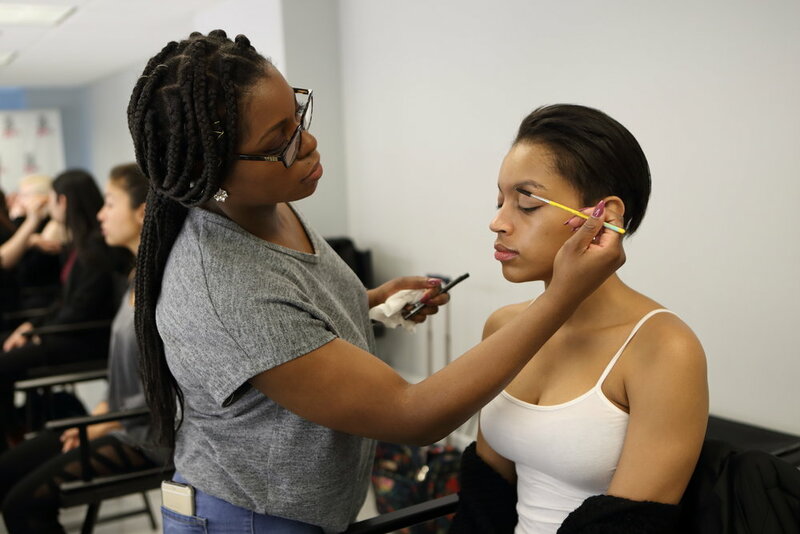 In addition, students will learn to highlight and contour, prep the skin, match foundation shades, color correct, false lash application, and more! If you missed out on this start date, don’t panic—try for our Spring Session, starting April 2nd! Join Make Up First® as we demo upcoming Spring trends, featuring Pantone’s 2019 Color of the Year: Living Coral! This workshop will feature applications using different Spring-inspired products to create current looks. Open to the public—CE hours available! This one-day, TEMPTU-certified workshop, covers the Business of Bridal and Airbrush Makeup application! In order to create the highly sought-after flawless face, students will learn about various airbrush foundations, blushes and contour shades. Equipment is provided for use during the one-day, six-hour session, and is also available for purchase. 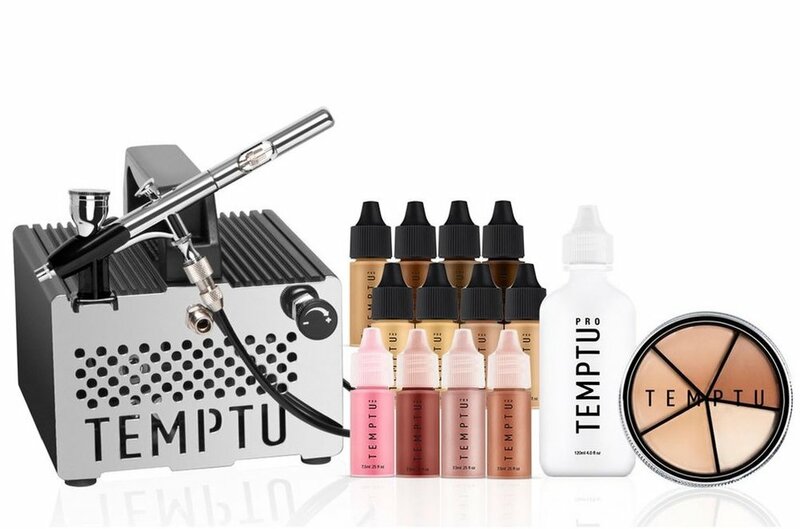 Upon completion, students will receive a “TEMPTU - Certified by Make Up First® “Certificate! Join us just in time for Valentine’s Day as we demo several V-day and Boudoir-inspired applications. This workshop is perfect for those wishing to wow their special someone, or prep their client for a big night out! Makeup by Jordan Liberty from our Portfolio Building with Jordan Liberty Workshop. Make Up First owner, Jill Glaser, will be in Long Beach, California at the International Salon + Spa Expo on January 27th and 28th! Attendees can catch Jill on stage both days as a guest educator, talking about the essentials of the makeup kit and the differences between manual and airbrush bridal makeup. If you’re a SoCal resident, make sure to grab tickets now! Your skin is your body’s largest organ, and it takes a beating: it’s exposed to sun, chapped by wind, and dried out by makeup removers and cleansers. Moisturizing daily can go a long way, setting up a smooth, supple surface for daily makeup application, amongst many other great effects moisturizer has on your skin. New Year, New You! Use that positive 2019 energy to invest in yourself. Take a makeup workshop and learn how to finally match your undertones correctly. 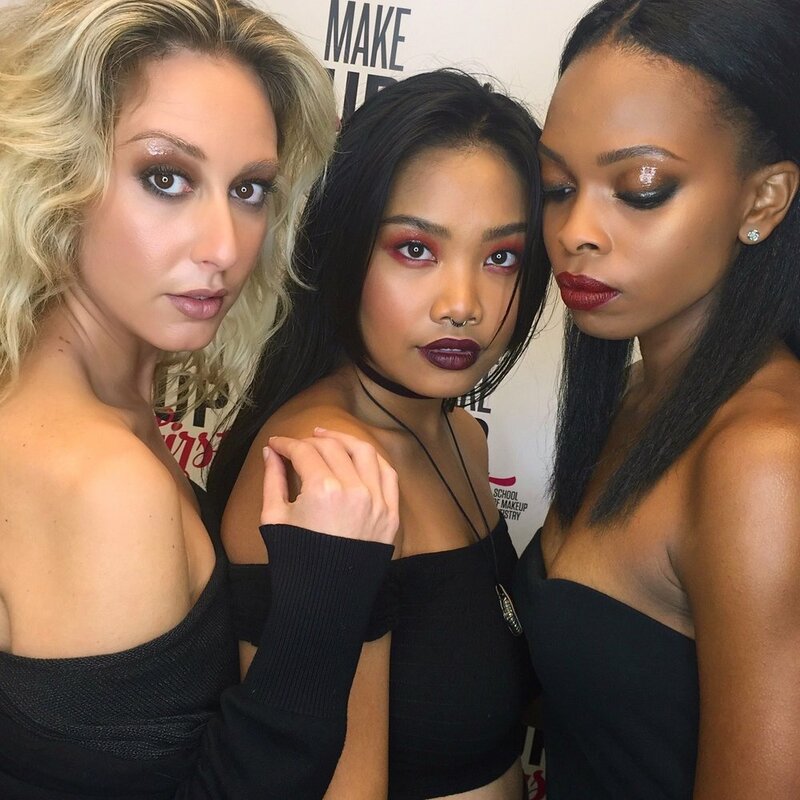 Grab that bold lip color you’ve been scared to try. Switch to a liquid liner, or ditch your old foundation. If you keep your options open, you might find your new favorite product. Dewy skin and the naturally flush face are here to stay. Master the secrets of the barefaced, “no makeup” look and walk out the door in under 15 minutes. Buying the right products means easier application, no second-guessing, and flawless natural-looking beauty. You mastered your signature eye look, now it’s time to shake things up. Experiment with any number of awesome liner or shadow styles from the Spring 2019 Runways, including colorful gel liners, inner eye highlights, and bold, dramatic shadows. 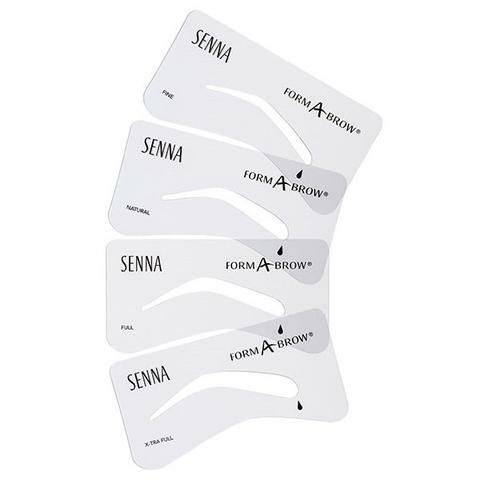 If you’re feeling truly courageous, try out a new brow shape using Senna’s foolproof From-a-Brow Stencil Set. So maybe your makeup collection is a mess, but it doesn’t have to be! Use the new year to get organized—from consolidating (or customizing) your palettes, to finding the travel bag that’s right for you. It’s also a good time to check all those expiration dates on your makeup and make sure you’re keeping your cosmetics clean and sanitized. You’ve got questions, we’ve got answers! Make Up First owner, Jill Glaser, is here to answer your mailbag questions this week on everything from skin prep to job opportunities. Check below to see if your question was chosen this week! Question: What is a foolproof way to combat oily skin? I’ve tried everything in skincare, primer & foundation in the $40 range (pro and “regular brands”) and NOTHING works! Jill: Battling oily skin isn’t easy and it takes a multi-faceted approach to stay on top of it. In terms of skincare, Mario Badescu’s Enzyme Cleansing Gel is specially curated to re-balance oily skin with alpha hydroxy acids and fruit enzymes. You can use Mehron’s TouchUp Anti-Shine gel to remove shine and oil instantly, and it comes in 3 different skin-tone shades. 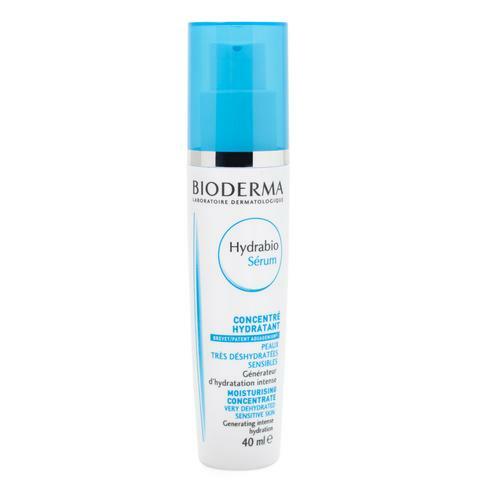 Bioderma’s Mat Control lotion works great for all-day against block pores and sebum regulation. If all else fails, turn to beautyblender’s Blotterazzi Pro or Palladio Rice Papers to absorb oil quickly on the spot. Question: I'm thinking about moving to the south or west coast. What cities are good markets for bridal and commercial makeup? Jill: There are brides everywhere - but there is probably less competition from other makeup artists in the South. LA is crawling with MUAs. As for commercial, that is a very broad question. Films? Corporate shoots? Atlanta/Nashville would be the only southern cities I would think have opportunities. Both NYC and LA have a great number of commercial opportunities (as does the Chicago area). 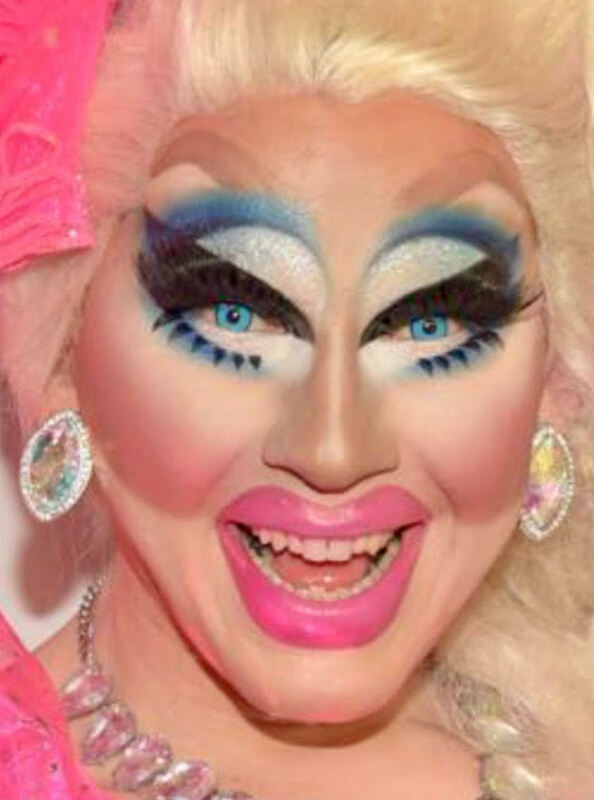 Question: On mature clients, what is your opinion on eyeliner on the lower lash line? Also for mature clients, what is your opinion on matte vs. satin. 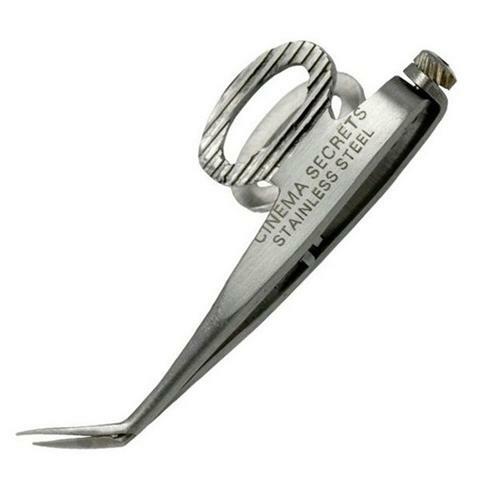 vs. shimmer eye shadows? And what age is the mature client? If a 60 year old should not wear shimmer shadows, how do you decide for a 45 year old? Jill: Mature skin is defined by the condition of the skin, not be the chronological age of the person. Under eye liner usually closes up the eyes, but if the eyes are round, it may look good as a soft, blurred line. Matte is great, except for those with deep skin tones—in that case, satin or even some shimmer may work. Rule of thumb: anytime the product makes the skin look more wrinkled, avoid it. Shimmer is usually pretty unflattering if the eyelid skin is loose. Thanks everyone for the excellent questions, and check back next week to see if your question is chosen! Looking for the perfect gift this holiday season? 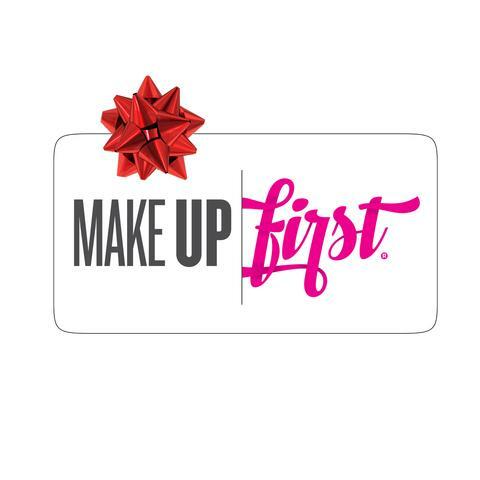 Treat the makeup enthusiast in your life to something special. We have a variety of workshops to choose from for everyone in your family, ranging from beginner to advanced. 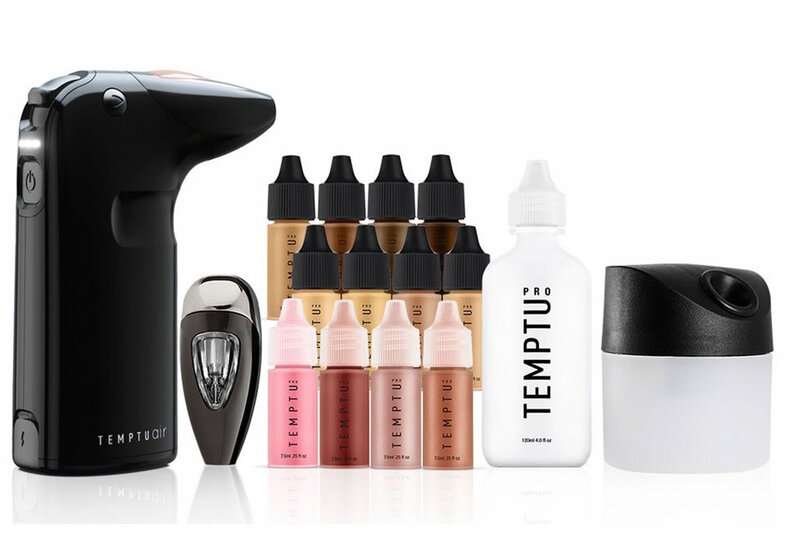 Master the art of airbrushing with our Temptu-Certified Airbrush Bridal workshop, or bring the whole family along to our Mini Monday demonstration to see what’s trending in 2019. Scroll down to find the perfect gift! Join us for our TEMPTU Certified Airbrush/Bridal Workshop. This one-day workshop will cover the business of Bridal, as well as airbrush makeup using TEMPTU products! 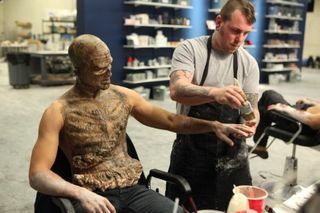 Students will learn how to assemble and use the airbrush and compressor, and will be taught various airbrushing techniques. Participants will be guided in the selection of various airbrush foundations, blushes and contour shades, in order to create a flawless airbrushed face. Equipment is available for use during the one-day, six-hour session, as well as available for purchase. Students should bring brushes from their makeup kits. Exclusive Pro Shop discounts day of workshop for attendees! Dec. 27th: Advanced Beauty Makeup Application. Students will learn how to on trend eye looks, highlight + contour, among other beauty techniques. 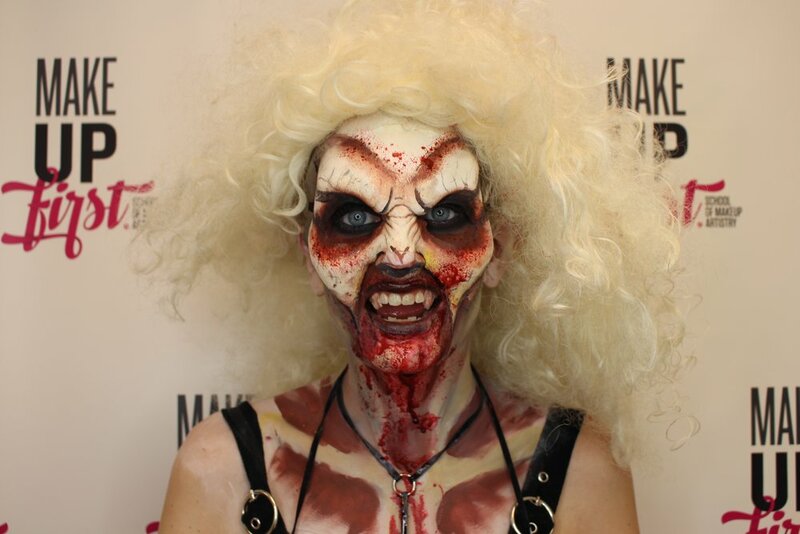 Dec. 28th: Theatrical makeup class that will focus on Gore! 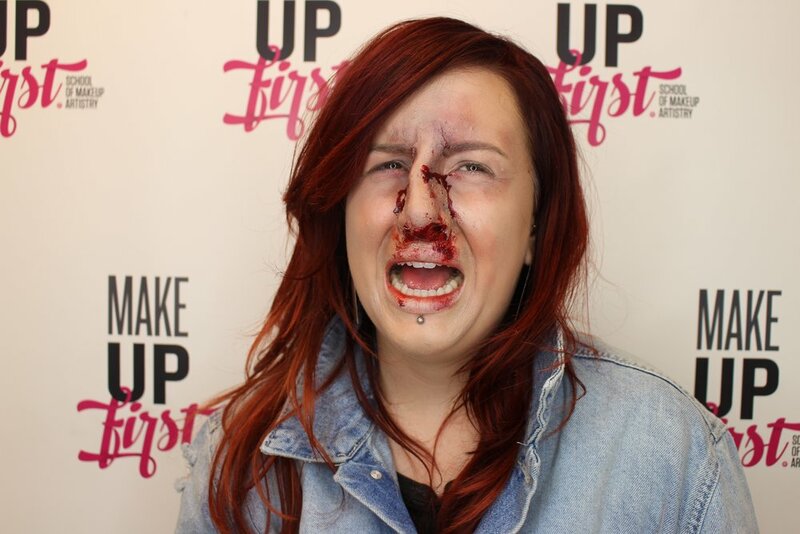 Students will learn how to create wounds; cuts, bruises, and scars. 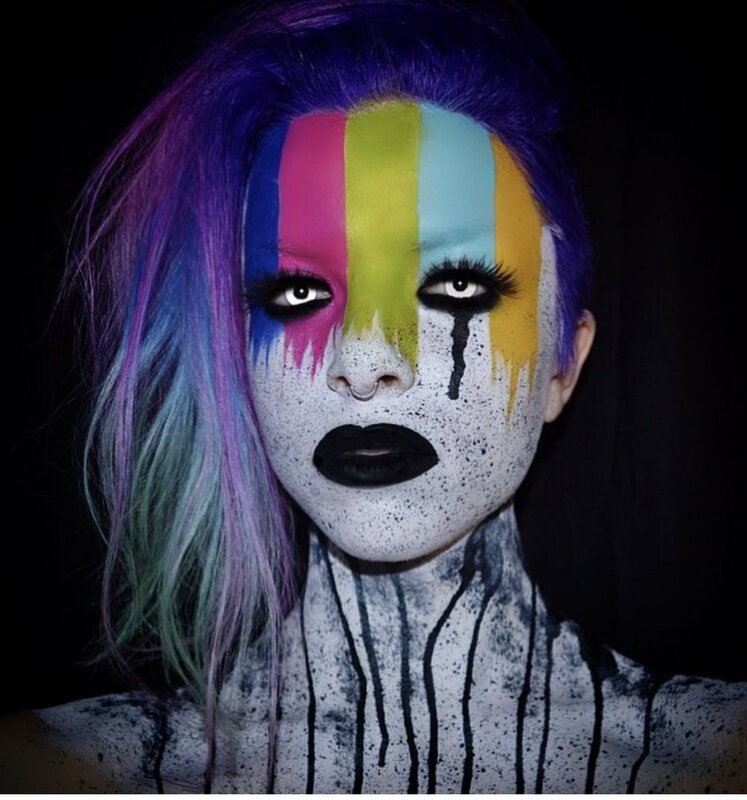 Students will also have the option to create Glam + Gore looks. All makeup and tools will be provided each day. Our Mini Monday Workshops are open to the public, so everyone can join in! We’ll showcase Pantone’s Color of the Year for 2019, “Living Coral”, and preview the hottest looks for the upcoming season. This workshop will be help from 10am-12pm, and can be used as Continuing Education hours under the IL Barber Act! Prepping your skin for the cold, winter months can be challenging, but adapting your routine can make a world of difference. Switch it up! Change your skincare products and you’ll notice the difference in your skin and makeup application. Make Up First’s Rachael Heimbuch shared her favorite tips with Fox this week—read on to get the scoop and watch the full segment below! **Recommendation: Mario Badescu Enzyme Cleansing Gel. It dissolves away makeup, oil and dirt without drying the skin. 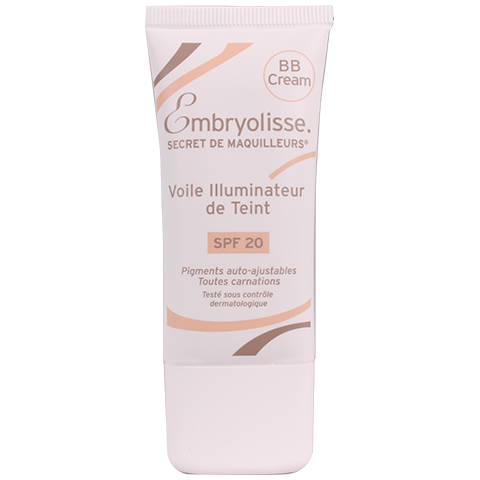 Contains AHAS (Alpha Hydroxy Acids) which gently exfoliate the skin. 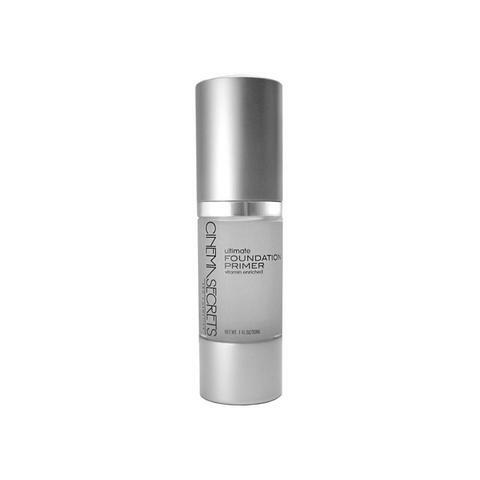 -Exposed skin (like your lips) requires daily hydration, especially during the winter. Don’t neglect these areas, including the eyes, that aren’t protected from the elements. Choose products for sensitive areas that are easy on the skin. -Sheet masks are a great way to combat weathered skin, but be sure to use for the recommended amount of time only (do not exceed!). When used for longer than directed they can dry out and have reverse effects of intended result. 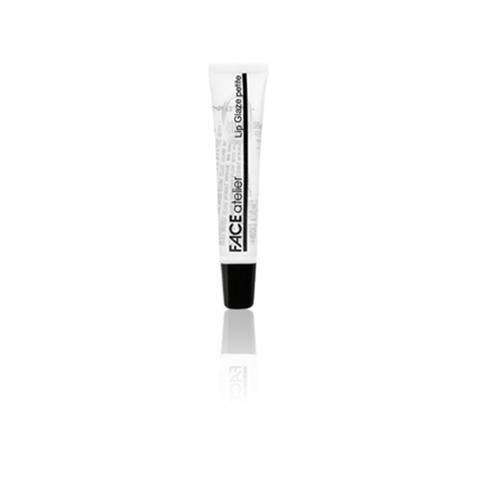 -Opt for a hydrating silicone-based primer. 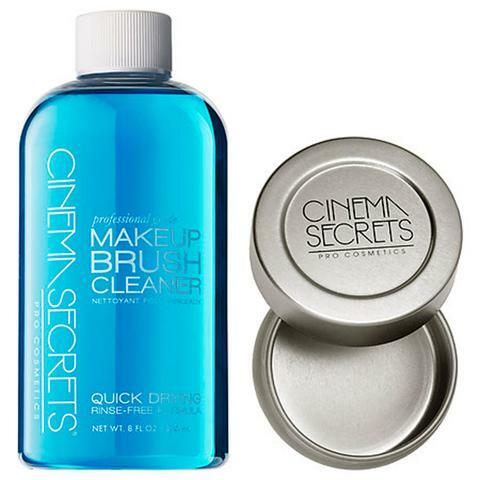 Cinema Secrets Ultimate Foundation Primer fills in fine lines, smooths skin texture, and extends foundation wear, creating a barrier on face that soothes skin and helps retain moisture. 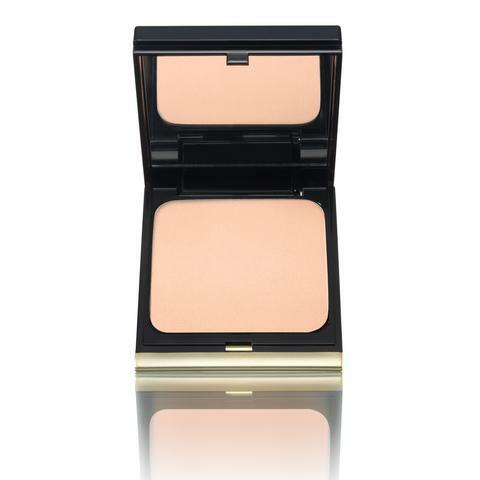 -Use cream foundations instead of powders, as creams typically hold more moisture. Go with Cinema Secrets 5-in-1 Foudations or Mehron’s Celebre Foudations. -Choose cream blushes over powders, such as FIRST by Maqpro Lip and Cheek Palette, which doubles for cheeks as well as lips! 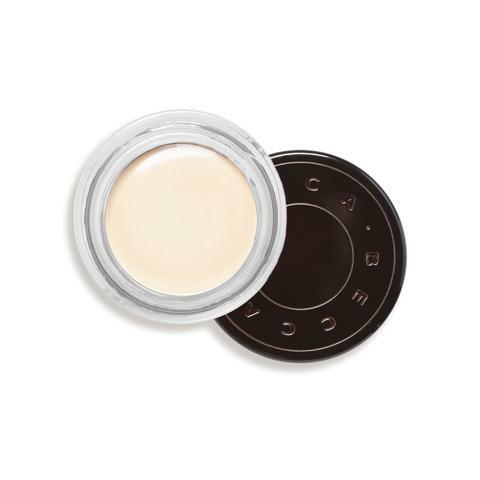 -Favorite cream eye product: Stilazzi Borderline Gels. -Give skin a glow with a cream or liquid highlighter: BECCA Shimmering Skin Perfector (liquid or poured), Inglot AMC Face & Body Illuminizing Liquid. -Give skin a hydrating spritz before and after application (or a mid day refresh), with Mario Badescu Aloe or Rosewater sprays, or Cinema Secrets Moisture Spray. To see the whole segment, click below! Make a resolution that sticks this year! Turn your passion into a career! Tis the season! With the holidays approaching, it’s important to be prepared to travel. Being away from home can seriously throw off your makeup routine, but we’re here to help. We’ve compiled some travel-friendly makeup tips to make your holiday trip as seamless as possible! Have a plan. Are you going for 3 days or 10? Can you survive with a small travel bag, or is bigger a better choice? Are you the person who needs the big bag regardless? Whatever the circumstance, plastic is always a good choice. In the event something spills (or explodes), it makes for an easy clean up. Look for bags with pockets, flaps, or folds where you can keep your products organized, or go for a few individual organizers. Don’t bring the one-time use seasonal glitters or bold lip colors. Grab your go-to products and the makeup you use every day/night. 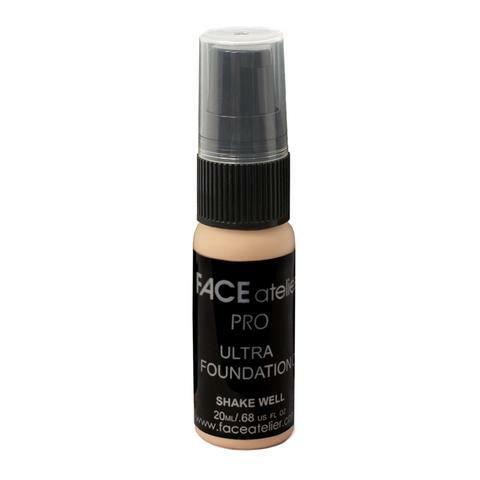 Opt for multi-purpose, simpler solutions, like Face Atelier’s Liquid Foundation, that doesn’t need a makeup primer. 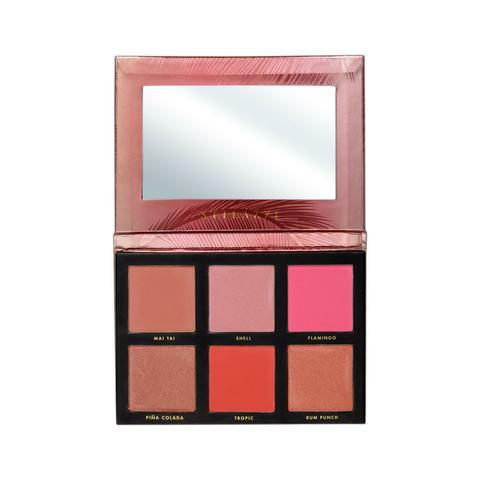 We love MaqPro’s Palette that can be used on both lips and cheeks. Select as many non-liquid products as possible for a hassle-free trip through the security checkpoint. 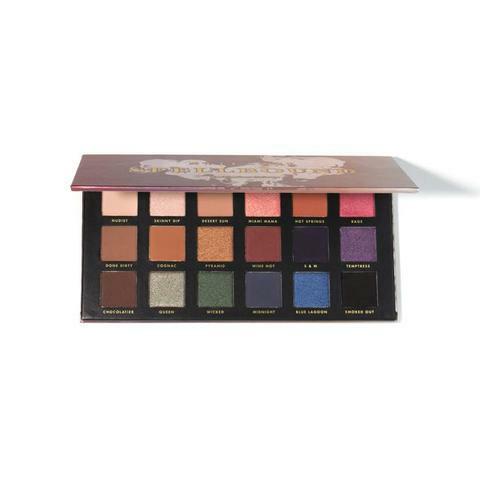 Choose pressed powders, pens and pencils, cream palettes, and compacts. Cleansing wipes make life easier on the go in place of any bottled cleansers. If you really need anything liquid, make sure to grab small, clear, and reusable containers which are eco-friendly and cut the cost of buying travel-size products each trip. Make sure to double-bag your liquids in case of an untimely spill. Grab Products with a Purpose! Find products that are multi-purpose, or eliminate the need to pack an extra item. The Makeup Mixer from MaqPro is the ultimate example, serving as a makeup remover, primer, moisturizer and product to sheer foundations or concealers! Pack easy-to-remove makeup, like Kevyn Aucoin’s Volumizing Mascara, that comes off with just water, allowing you to leave extra makeup removers at home. Look for lip or eye pencils that are self-sharpening and save yourself some room for other products. Whether your makeup is in your carry on, or stuffed into a suitcase, chances are it’s gonna get tossed around. Make sure your makeup is wrapped up tight, so when your bag is dropped, smashed, or stuffed into a compartment your products stay in one piece. 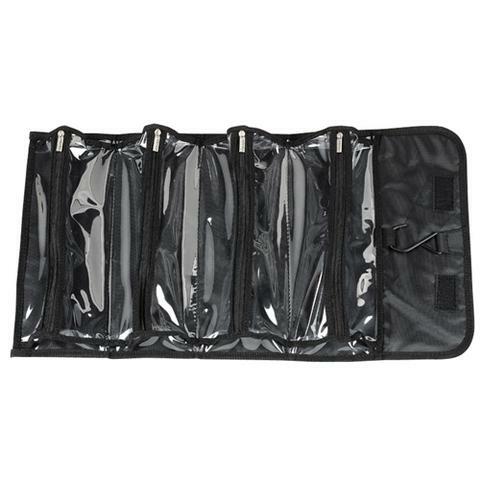 Small hand towels or t-shirts make great padding in or around your makeup bag. 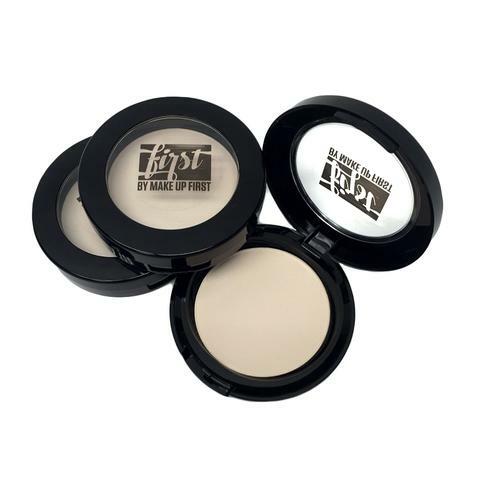 Pressed powders, like MaqPro’s HD Setting Powder, stay in place, even when your luggage does not. Our 3 Day Black Friday Sale is Here! Shop hundreds of Black Friday products up to 30% off, enter our giveaways, and MORE! Deep discounts on tons of brands! Every purchase made during the sale will be entered to win a FREE Eve Pearl Travel Case filled with over $300 in makeup from your favorite brands! Visit the Pro Shop and start saving! Sign up for any class or workshop from Nov. 21st-23rd and receive $25 in Pro Shop Credit! Register for all 8 Certificate Courses during our Black Friday Sale and you'll be entered to win a FREE Zuca Pro Artist Bag valued at over $300! Visit our Certificate Courses or Workshops pages to sign up! Whether you’re getting over a cold or trying to overcome the bad-weather blahs, your skincare and makeup routine can help you look and feel better. Defeat cold, dry weather with these nourishing skin tips and the perfect complimentary makeup look. First, renew your skin by using an exfoliating product to remove dead skin cells on the surface. Follow that up with a gentle cleansing product such as Mario Badescu’s Enzyme Cleansing Gel. Follow up with a moisturizer that’s suitable for your skin type. 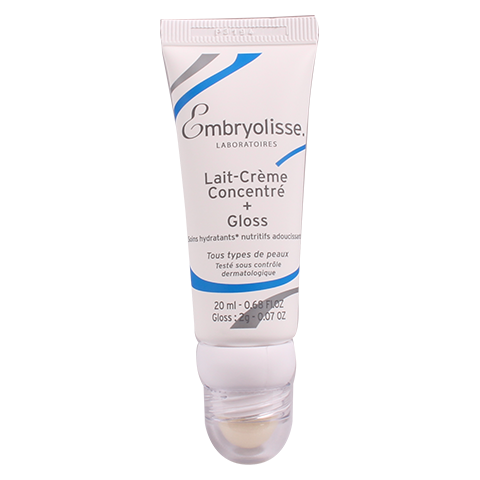 Embryolisse Lait-Creme Concentre is a good choice for most skin. Whatever you choose, it’s important to keep the skin (as well as the rest of your body) hydrated. Condition and protect dry lips with a healing, hydrating product, such as Smith’s Rosebud Salve or . You can also use the Rosebud Salve on chafed cheeks or nose areas! Cure achey, puffy under eyes with ToGoSpa’s Ice Water Eyes. Diminish dark circles in just 15 minutes, and for extra cooling power, chill in the fridge before you apply. Finish off your night with an anti-inflammation eye cream, like Bioderma’s Sensibio Eye or Radiant Eye from Embryolisse, and leave your face feeling relaxed and ready for the day ahead. Start your day off with a splash of cold water on your face to close pores and wake up! Refresh and cleanse your face with Bioderma’s Sensibio H20. Apply a light shimmer on the eyelids to reflect the light on the lids, especially the inner corners of the upper lids. Add eyeliner in a cool color such as navy or purple to make the whites of the eyes pop. 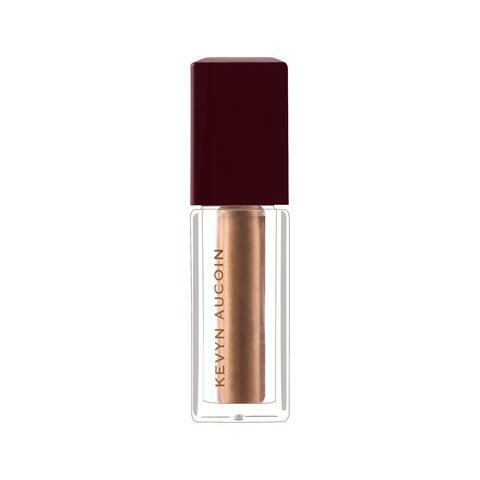 Kevyn Aucion’s The Precision Eye Definer is our top choice. Use a kohl pencil (in a flesh tone) on the lower water line to take the red out! 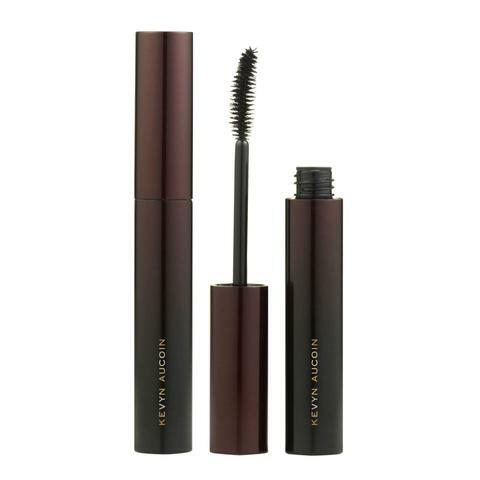 Curl the lashes (we love these from Japonesque) and apply waterproof mascara in black, navy or purple. Start with a primer under your foundation—the foundation will last longer and keep fine lines, wrinkles, and rough patches away. 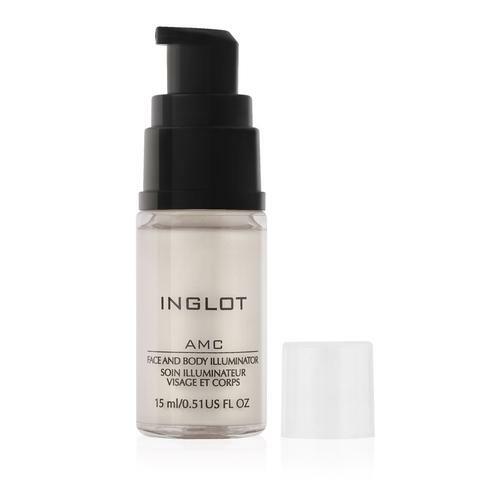 Add an illuminzing product, such as Inglot’s Face and Body Illuminator, to your foundation and apply primarily in the center of the face where the light hits. If you can keep it on after nose blowing, use a yellow concealer, like Becca’s Ultimate Coverage Concealing Creme, on the nostrils to cancel any redness. To camouflage a sallow, pasty complexion, use a bright pink or peach on the apples of the cheeks to give a flushed (but not feverish) look. We prefer the Senna Slipcover Blush Palette. Add a pop of shimmery blush only on the cheekbones. 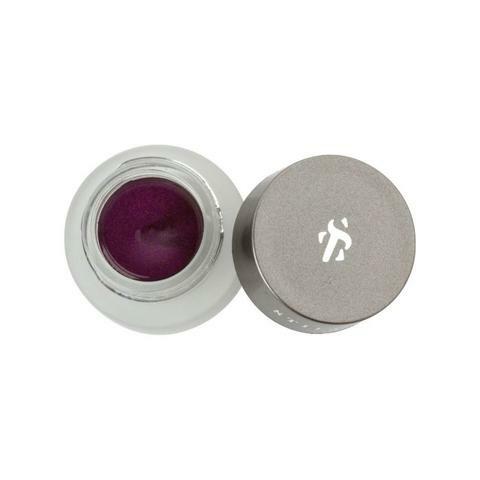 Set with a translucent powder to keep makeup in place. For lips, use a creamy, neutral/pink lipstick, or if you’re feeling bold, a deep cherry lip. 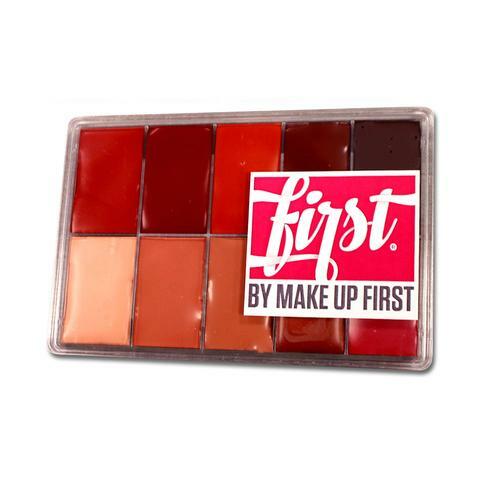 Get the entire range of colors with the First by Maqpro Lip & Cheek Palette. Don’t forget to apply gloss to the lips frequently to keep them hydrated! Now that Halloween is over and Fall is in full swing, your skin is in serious need of some TLC. Don’t let the elements keep your skin from looking flawless, fight back with the perfect product. We’ve got you covered with our step by step regimen—from removal and repair to full skin revival. Treat your face with this refreshing micellar water formula that cuts through dirt, oil, and even waterproof makeup. The soothing cucumber extract leaves even dry, irritated, and sensitive skin feeling soft and refreshed. 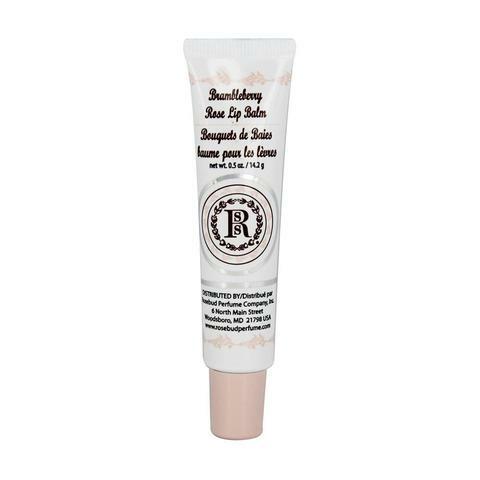 Keep your lips soft and supple with this two-in-one combo from MODELROCK. 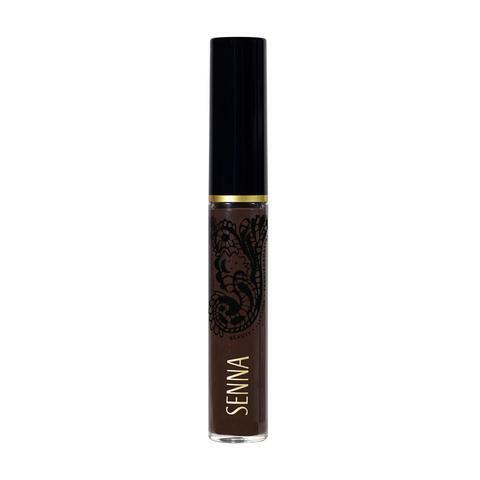 Use the lip scrub to clean away old skin cells and the longwear lipstick comes in handy for any stubborn lipstick or gloss build up. Rejuvinate your face with a refreshing blend of aloe vera and charcoal. The aloe vera moisturizes the face while the charcoal powder minimizes pores and absorbs oil for a deep facial cleanse. A cure-all salve for chapped Fall lips that also works on raw skin, cuticles, and ashy elbows. Use this in a pinch to help heal razor or flat iron burns. This revitalizing cream accelerates skin restoration while nourishing and moisturizing with a combination of sugars, Vitamin E, soft butters, and aloe vera extract. Apply morning or night to achieve brighter, healthier skin. Fight back against puffy under eyes and dark circles with amazing treatment stick that brightens and smooths eye contours in minutes. 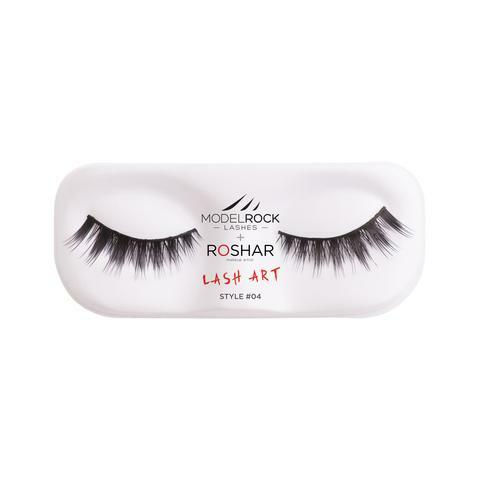 Use on both upper and lower eyelids, and for a stronger cooling effect, store in the refrigerator!